As well as providing the bedstone for modern physics and the sciences, mathematics has often strayed into the metaphysical. It’s therefore no coincidence that many theologians and mystics were often competent mathematicians. 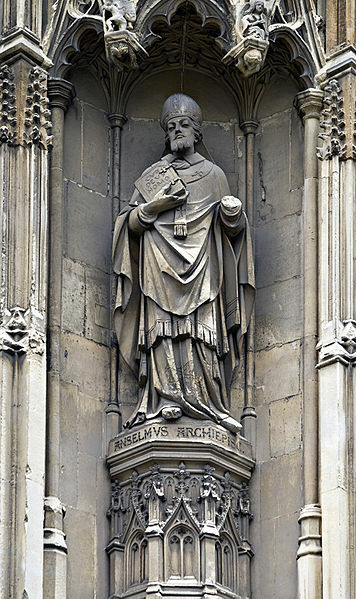 One such theologian and philosopher was Anselm of Canterbury (1033–1109) who proposed a so-called ontological argument in the second and third chapters of his famous Proslogion. In essence the argument attempts to use the language of Greek axiomatic logic to prove the existence of god. St. Anselm, entombed in carbonite, on the exterior of Canterbury Cathedral. 1. Let ‘God’ be a being about which nothing greater can be conceived or imagined. 2. ‘God’ exists as an idea in the human mind. 3. A being that exists as an idea in the mind and in reality is clearly greater than a being that exists only as an idea in the mind. 4. Thus, if God exists only as an idea in the mind, we can imagine something greater than God. 5. But we cannot imagine something that is greater than God (a contradiction of statement 1). Whilst this argument cannot be judged as serious mathematics it does offer an interesting insight into the historical interplay between religion, philosophy and mathematics. Much of the modern fundamentals of mathematics use analogous axiomatic-theoretic language to build desired rigour. It also has an undeniable elegance – it attempts to prove existence using only the definition of God as a basis. Surprisingly Anselm’s original ontological argument has been developed into modern times, most famously by the Austrian meta-mathematician Kurt Godel. Kurt Godel was part of a depressing list of mathematicians whose life ended in tragedy – in Godels case he starved himself to death. This work came to light only after Godel’s death in 1978. 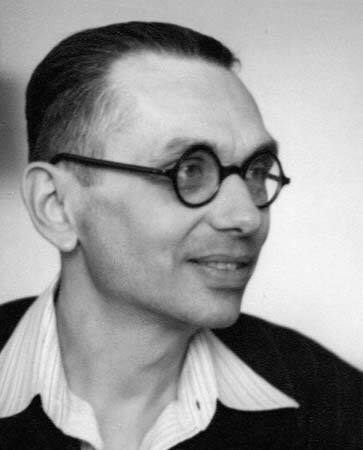 Famous for his incompleteness theorem, Godel was a tangential thinker who liked to stress-test logical and axiomatic structures and explore where they could lead – sometimes rigour and clarity yes, but also outright insanity. 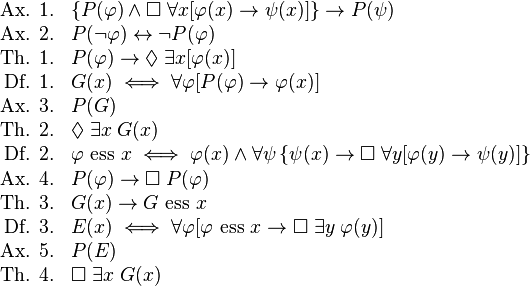 Essentially Godel took Anselm’s original argument and set about adding mathematical rigour using the formal framework of modal logic. Achieving this involved building definitions and axioms over and above the more simplistic construction of Anselm. At the root of this construction was the idea of something being true on a finite number of infinite worlds (weak truth), or on all possible world (strong truth). The full proof is very long so I’ll record only a flavour of it here using some of the definitions, axioms and Theorems Godel constructed. Definition 4: if x is an object in some world, then the property P is said to be an essence of x if P(x) is true in that world and if P entails all other properties that x has in that world. Theorem 2: The property of being God-like is consistent. Theorem 3: If something is God-like, then the property of being God-like is an essence of that thing. Theorem 4: Necessarily, the property of being God-like is exemplified. It’s important to note that this work did not imply Godel believed in God. In fact his scepticism was likely the reason this work was kept under wraps for most of his life. 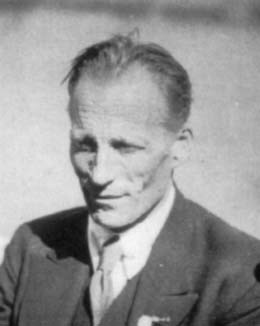 His friend Oskar Morgenstern stated that Godel didn’t disclose out of fear others might think “that he actually believes in God, whereas he is only engaged in a logical investigation – that is, in showing that such a proof with classical assumptions correspondingly axiomatized, is possible.”. It’s interesting that Godel’s proof only considered existence – he didn’t extend the work into that equally important ream of mathematical fundamentals – uniqueness. Which leaves open the possibility of a universe overcrowded with powerful deities! Hyperspace. What does it mean? Science fiction has largely hijacked the word but its real foundations are embedded in the mathematics of higher or n-dimensional space pioneered by Bernhard Riemann in the late 19th century. Riemann lay the foundations for extra dimensional spaces and so-called non-euclidean geometries that were self consistent and logical. His Riemann tensor generalised geometry to curved surfaces, breaking free from over two millennia of Euclid’s dominance over the subject. In this new geometry of the curved surface, parallel lines can intersect and the angles of a triangle do not necessarily add to 180 degrees. 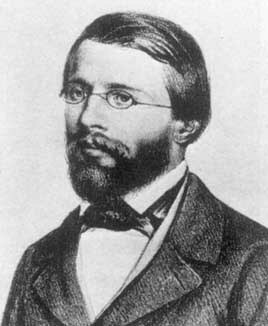 Bernhard Riemann broke past the established doctrine of ‘flat’ Euclidean geometry. Riemann’s curvature tensor was part of a developmental framework encapsulating the idea that forces could be considered as alterations in the fabric or ‘geometry’ of space rather than an instantaneous phenomena acting at a distance. The reason a three dimensional creature felt the effects of a force could then be explained by a warpage in the fabric of the four dimensional geometry it moved through. The analogy of a 2D ant residing on an undulating 3D surface is a good way to understand this thought process. As the ant moves around it cannot see the curvature of the larger 3D space it inhabits yet it feels the effects as a force as it moves across the world. Han-Solo and Chewbacca are seasoned hyperspace users in the film Star Wars. Hyperspace has been popularised in science fiction since the late 1920s and early 1930s, coincident with Albert Einstein’s special and general theories of relativity which became widely accepted around this time, and involved the idea of time as an additional dimension. By directly applying the Riemann tensor to his work on universal gravity Einstein was able to powerfully simplify his approach and construct his general theory of relativity. It was this application of the multi-dimensional to our understanding of gravity, light and space-time that propelled hyperspace into fiction and art. In a science fiction context the word represents a vague notion of transcending into higher dimensions to facilitate quick interstellar travel (Star Wars), or in the case of Howard Phillips Lovecraft’s ‘Dreams in the Witch House’, a gateway into a shadow realm of cosmic horrors. It also spawned the notion of the worm hole – a higher dimensional bridge permitting a traveler to move between normally disconnected and independent spaces (or possibly times). 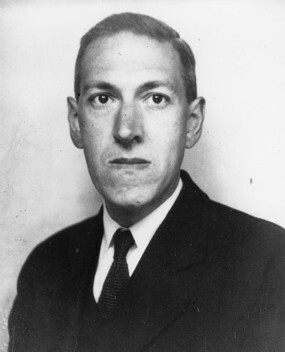 Lovecraft used concepts from hyperspace and non-euclidean geometry in his cosmic horror tale ‘Dreams in The Witch House’. ‘One afternoon there was a discussion of possible freakish curvatures in space, and of theoretical points of approach or even contact between our part of the cosmos and various other regions as distant as the farthest stars or the transgalactic gulfs themselves – or even as fabulously remote as the tentatively conceivable cosmic units beyond the whole Einsteinian space-time continuum.’ – The Dreams in the Witch House by H P Lovecraft. So how far away is the real mathematics of hyperspace from this popularised notion? And can mathematics let us glimpse into these mysterious spaces? Mathematics can represent higher dimensions with relative ease and in doing so can often reduce formerly complex problems to more elegant and simpler forms. But what can mathematics reveal to us visually or conceptually about higher dimensions? It’s a vast topic but let’s try exploring one geometrical dimension up – the fourth dimension – by constructing one of the simplest 4D objects to conceptualise, the hypercube. Follow me on an imaginative journey into the fourth dimension! To kickstart our journey into hyperspace lets begin by imagining a single point in space – a singularity. A singularity has no dimensions so resides in zero dimensional space – the sort of place the universe may have originated from or a black hole will take you. Now take this point and draw an imaginary straight line from it to a second point. We’re now in 1D space and have 2 points with a line segment connecting them. Now take each point of our line and drag it up or down to make a square with 4 points. Here we are in two dimensional space. How many line segments do we have now? Next grab those four points and pull them up or down at a right angle to make a cube. We’re now in familiar 3-dimensional space with 8 points and 12 connecting line segments. Now for an imaginative leap into hyperspace. Let’s pull those 8 points out of our reality and into the fourth dimension! What do you see? Or let’s put it another way – what should we expect to see? Although we can’t directly visualise it we can infer some of the properties of this four dimensional cube from mathematical extrapolation. For starters it should have 16 points. How about edges? Well each point will connect to 4 edges so that’s 4 x 16. But each vertex will share all its edges with another vertex so we half this value. Therefore it must have 4 x 16 /2 = 32 edges. This 4D analogue of a cube is also known as a Tesseract. Now that we’ve inferred some of its properties can we say anything about what it might look like? Well in the same way that a sphere only reveals a shadow of itself on a flat plane, we can only visualise a 4D hypercube from its shadow projected into our 3D world. As it happens such a shadowy denizen from another dimension actually exists on earth. Most Parisians walking in La Defense are probably oblivious to the fact that there’s a manifestation of the fourth dimension nearby. 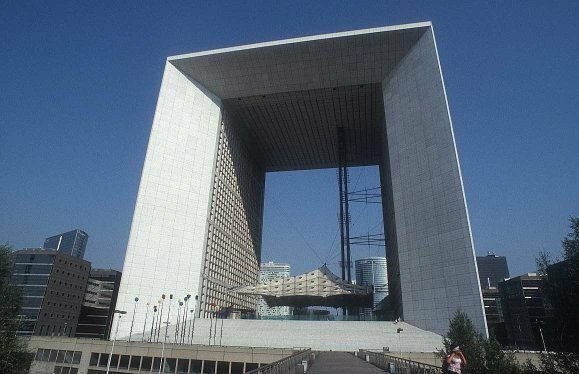 La Grande Arche was designed by Danish architect Johann Otto von Spreckelsen. It’s a mystery whether or not this grand design was ever consciously inspired by mathematics but it’s nonetheless a beautiful and radical piece of architecture. 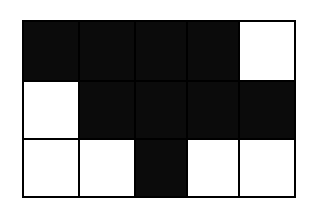 Despite being only a shadow of a 4D cube this structure contains most of the defining properties of a 4D cube – crucially it has 16 points connecting 32 edges. 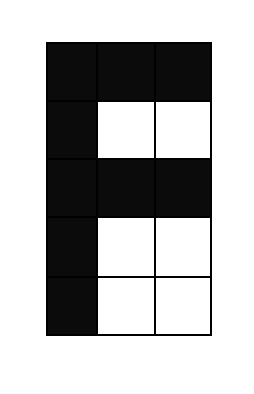 One of the properties it lacks is uniformity of distance along its edges. In the same way a square in two dimensions has equal sides, a real hypercube in 4D space would have all its connecting edges exactly the same length. But this projection clearly doesn’t (note the lengths of the inner edges are shorter than the outer edges). That’s because any projection from a higher to a lower dimension doesn’t necessarily preserve the distance between points, or indeed the angles between edges and faces. Looking at the shadow of a cube on a piece of paper is a good example of this; no orientation can preserve the three dimensional distances between points. In other words information is lost whenever we try to represent a higher dimensional object in a lower dimensional setting. Projection of a hypercube rotating about a single plane bisecting its center. Mathematics can even rotate the hypercube and we can observe the weird and impossible dance made by its three dimensional shadow (above). 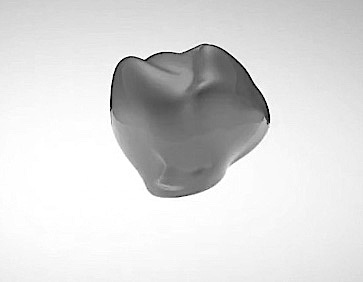 The object is seen to move through itself in a way that defies the rational behavior of solids in our 3D world. The same effect can be seen by rotating a 3D cube in front of a lamp and watching the behavior of its two dimensional projection. You would really see these sort of visual oddities if four dimensional objects or beings entered our 3D world. Of course mathematically cubes don’t stop in 4 dimensions. You can move into five, six or even more dimensions and build n-cubes in all these worlds. For example, a hypercube in n dimensions will have vertices. From each of these vertices there will be n edges emerging, each of which are counted twice, so the N-dimensional cube has edges. I’ll leave the task of imagining such n-cubes to the reader! The [mathematical] construction itself is an art, its application to the world an evil parasite. – L. E. J. Brouwer. Theorem – Brouwer’s Fixed Point (1912): Every continuous function f from a convex, compact subset K of Euclidean space has a fixed point, f(x) = x. What this theorem says is if we take a well-defined space without holes (think of a regular continuous surface or volume), and we rotate, stretch, bend or deform it, then at least one point in the space will be unchanged by this action and remain in the same position. In other words there will be at least one ‘fixed point’. Mathematically our deformation or re-imaging of the space K is represented by a function f(K) that maps all points x in the original space to points y in the new version. The fixed point is then represented as f(x) = x. Moulding a piece of plasticine with your hands is a reasonable analogy to think of when considering the theorem in normal three-dimensional Euclidean space. Of course, one of the powers of this theorem is its generality – we can go as high as we like in dimensionality and still be confident in the assertion. The theorem leads to some fairly interesting and amusing truths: 1. Make a banana smoothie and stir it with a spoon. No matter how long or thorough your stirring action at least one point of the smoothie will still be in the same position when you’re done. 2. Take a map of Scotland and make a copy of it. Shrink it, enlarge it, rotate it or even crumple it. Place one map so it rests within the boundary of the other. Then we know with certainty that a particular location on one map will be resting on-top of the same location on the other. 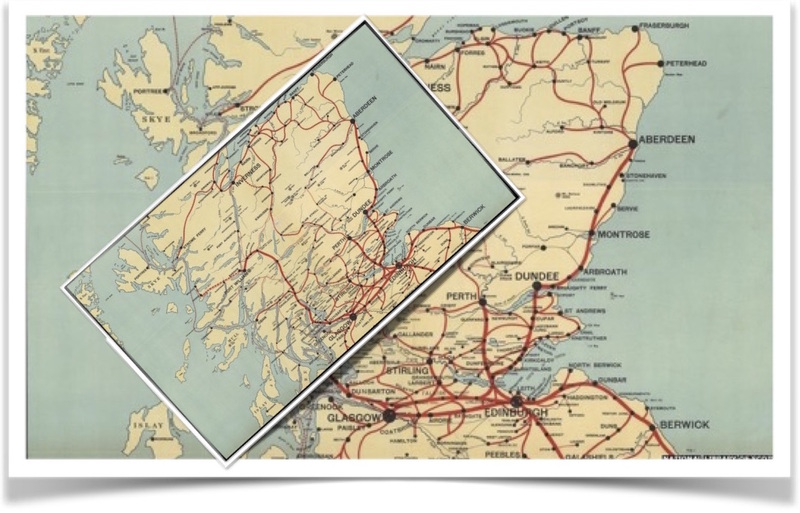 A scaled map of Scotland has been rotated and randomly placed over a larger original. Brouwer tells us that one location on the top map will be precisely on top of the same location on the bottom map. 3. Two DJs are in a nightclub. Both share the same favourite track. One DJ plays the tune first at its native speed of 140 bpm (beats per minute). The other DJ decided to play the tune faster, so pitch shifts it to 150 bpm, adding some reverb and echo for good measure. He hits play so both tracks are now playing. Brouwer’s theorem says that as long as the faster track starts and finishes whilst the slower version is still playing there will always be one moment of musical harmony when both tracks are in perfect sync – a musical fixed point! 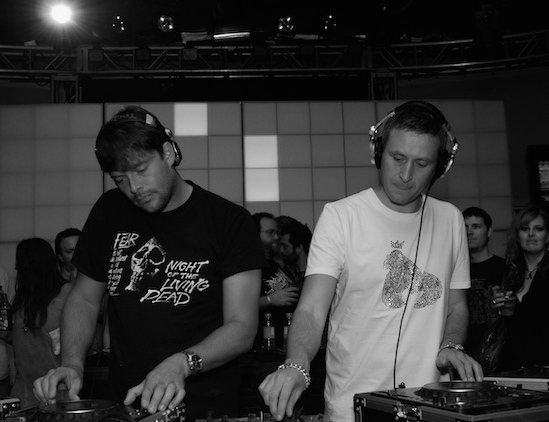 Despite playing the same tracks at the same time at different speeds, these DJs know about Brouwer’s FPT. An initially perplexed crowd are going to go wild when they hit that fixed point! 4. Go for a walk in the countryside and pull out your ordinance survey map. Because your map is a smooth and continuously scaled representation of the real terrain you’re in – there will always be a ‘You are here’ point on your map to help you navigate. Let’s look at a less general form of Brouwer’s theorem in the plane . We’ll then explore homeomorphisms and a trivial example in one dimension. Theorem – Brouwer’s Fixed Point on the Plane: Every continuous function from a closed unit disc D to itself has a fixed point. This form of the theorem talks about the unit disc, rather than an abstract subset. That doesn’t restrict us to considering only discs because homeomorphism is assumed. Roughly speaking a homeomorphism is a bending or stretching of a space into a new one. Any remoulding of a disc on the plane is therefore included. The inverse of f exists and is continuous. Example: Any open interval (a,b) is homeomorphic to the whole real number line . One such homeomorphism is the function f(x) = 1/(x – a) + 1/(x – b). Have a think about it. Finally a simple example. A trivial example in one dimension: Consider the closed interval [-1,1] and the function f(x) = (x+1)/2. Where does f send [-1,1] and can we find the fixed point? Answer: The interval [-1,1] is closed and f(x) is certainly continuous. f([-1,1]) = [0,1] with f(1) = 1. Therefore x = 1 is the fixed point. A fascinating but little known application of prime numbers involves the search for, and communication with, extraterrestrials. In the 1997 film Contact (adapted from Carl Sagan’s novel by the same name), Ellie Arroway and her team of radio telescope ET hunters pick up a repeating signal from the nearby star Vega (around 25 light years away). Tuning in they quickly realise the message contains the sequence of early prime numbers 2, 3, 5, 7, 11. They excitedly conclude that they’ve stumbled upon a bona fide alien signal. Why? Foremost, because whilst primes are fundamental to the generation of the natural numbers, they’re also extremely difficult to find and predict. Over 2300 years ago, in one of the most elegant and famous proofs in number theory, Euclid demonstrated that there are infinitely many primes (see below), yet to this day there’s no known polynomial or simple formula for generating the nth prime. They appear almost randomly embedded in the space of all natural numbers and this elusiveness means that sequences of primes don’t tend to arise from naturally occurring processes. A signal with these characteristics was detected in 1967 by Jocelyn Bell Burnell in Cambridge, England. The signal was uncovered during a study of Quasars and resembled a series of regular peaks of fixed amplitude 11/3 second apart. The team was so baffled by it they identified it with the codename LGM (little green men). Yet the signal turned out to have a completely natural source – it was in fact the regular and rapid rotation of a distant pulsar (the first such detected and studied) issuing forth regular bursts of electromagnetic radiation. 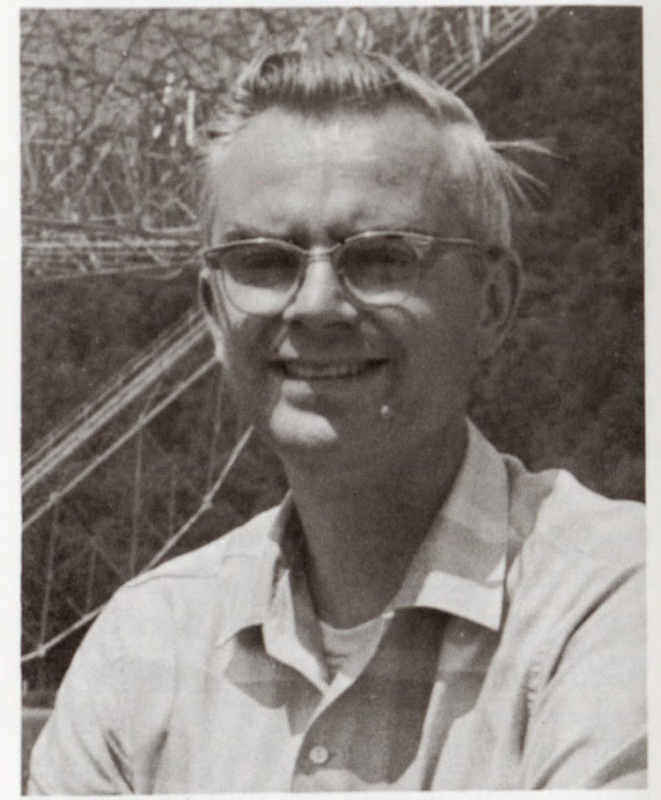 In the 1970s Frank Drake of Cornell University proposed a simple yet elegant method for interstellar communication utilising primes. It involved sending a pictorial binary message (comprising just 0’s and 1’s) and a number for deciphering the message, known as a semiprime. A semiprime is a number generated from the product of exactly and only two primes. For example six, fifteen and twenty five are semiprime because 6 = 2 x 3 = 3 x 2, 15 = 3 x 5 = 5 x 3 and 25 = 5 x 5. Twelve is not semiprime because 12 = 2 x 2 x 3 = 2 x 3 x 2 = 3 x 2 x 2. The idea is you build a picture array with 0’s and 1’s such that the length (or cardinality) of the data set is a semiprime, l = p x q. This semiprime is supposed to suggest to the receiving intelligence to arrange the data in two possible configurations: p x q or q x p. One of these configurations contains the message. It’s the letter F! Amazing….we’ve made first contact with an alien civilisation who might join us for a game of interstellar scrabble! Perhaps the most famous use of Drake’s cryptograph was the Arecibo message broadcast in 1974 from the recently refurbished Arecibo radio telescope in Puerto Rico towards the globular cluster M13 (25,000 light years away). The data steam had a cardinality of 1679 bits, which is a semiprime with the following prime factors 73 x 23 or 23 x 73. 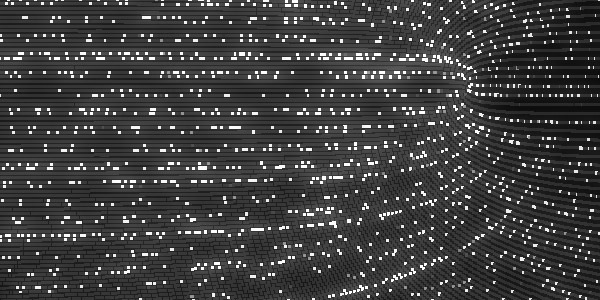 The correct orientation for revealing the message is 23 columns x 73 rows. Voila! The Arecibo message correctly oriented with descriptions of what each part is supposed to convey to an alien intelligence. The message (co-authored by Drake, Carl Sagan and others) is supposed to convey a condensed summary of the human species – its technology, biology and location in space (see here for more details). Whether or not such a message would be understood by another technical civilisation, if successfully decoded, is open to debate. Any such civilisation would certainly need to share many common traits with the human species at the very least. But the main motivation behind the message was simply to demonstrate what was possible rather than seriously communicate with denizens who, if they even existed, would take over 50,000 years to call back. These sections will define in more detail some of the mathematics used in Modulo Universe. Readers should consider skipping as desired. Definition of Prime number: A natural number p > 1 is prime if it is only divisible by itself and 1. Definition of Composite number: A natural number c is composite if it has at least one more divisor other than itself and 1 (i.e. it isn’t prime). The Fundamental Theorem of Arithmetic: Every integer i > 1 can be represented uniquely (apart from order) as a product of one or more prime numbers. In other words the prime numbers represent fundamental and indivisible building blocks for the positive integers. For example 20 = 2 x 10 = 2 x 2 x 5. 32 = 4 x 8 = 2 x 2 x 2 x 2 x 2. Put another way: Every positive integer n > 1 can be represented in exactly one way as a product of prime powers. This leads me to one of the most beautiful and elegant proofs in mathematics – Euclid’s infinite primes. One of the great appeals of mathematics over other human creations is its eternity. By this I mean that once you prove something remarkable in mathematics – as Euclid did over 2000 years ago – it’s there forever. Whereas theories in physics, chemistry and astronomy undergo a constant revision, mathematics is like an indestructible and ever-growing vault. The literature from this epoch of history might loose some of its original meaning due to the filter of modern culture, yet the logic of greek mathematics cuts through the intervening millennia with a piercing clarity. I urge you to follow along with this proof as its relatively easy, even without mathematical training. Theorem (Euclid 300 B.C): There are an infinite number of primes. Now this number N can’t be prime because it has all these prime divisors. But what if we add 1 to N? Let’s call this new number M.
Now M, like any other natural number, must be either a prime or a composite number. If it’s the former we’ve found another prime larger than N contradicting our assertion. If it’s a composite then it can be expressed as a product of prime factors. However none of the primes listed can divide M so there must exist other primes not in our list. In both cases we’ve contradicted our initial claim so there must be an infinite number of primes! Definition of Semiprime: A natural number l is semiprime (or bi-prime) if it is the product of two prime numbers p and q (l = p x q = q x p). From this definition it’s clear that the square of any prime number must be semiprime and therefore the largest known semiprime is also, conveniently, the square of the largest known prime. Large semiprimes are popular in encryption systems due to the simplicity of making them (grab two primes and multiply them together) but complexity of factorising them with no prior knowledge.